Slip and fall accidents happen every day. They range from a minor slip when walking into the kitchen at home to falling on the floor in a grocery store and sustaining some pretty serious injuries. According to the Centers for Disease Control (CDC), over 8.9 million people suffer non-fatal slip and fall accidents and injuries in the United States in 2012 alone. The CDC also reported that the direct medical costs for slip and fall accidents for adults sixty-five years and older were estimated at $30 billion. By 2020, project medical costs for slip and fall accidents and injuries will creep up to approximately $67.7 billion. Approximately 23 percent of hospital emergency room visits are from accidents, and approximately 12 percent of the accidents are slip and fall accidents. Slip and fall accidents are a $36 billion problem each year in North America. 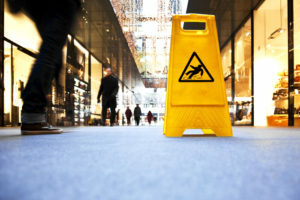 While a great deal of slip and fall accidents occurs in public places or on other properties or premises, the majority of accidents happen in a person’s home. If you’ve been injured in a slip and fall accident, whether it occurred on a public premises or at home, call the Boca Raton slip and fall lawyer at Leifer Law today for a free consultation. We can assess your injuries and determine if you have a case that could result in a settlement. Call us today at 561-395-8055 for more information today.